In recent years, a new refrigeration technology called "slurry ice machine" which has the best refrigeration effect and the energy saving effect, has appeared in the world. 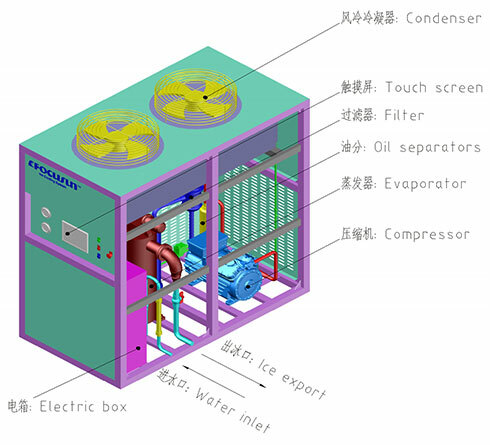 As a pioneer in the refrigeration industry, FOCUSUN has taken the lead in developing slurry ice machine using sea water and salt water as ice making medium. Now, FOCUSUN has been fully equipped for slurry ice machine. slurry ice: aqueous solution (usually as brine water, seawater or ethylene glycol ). Due to its special semi fluid state, slurry ice is also called fluid ice, flowing and liquid ice. Slurry ice provides the largest contact area with products and ensures rapid and even heat transfer which brings a wonderful cooling efficiency. The effect is three or five times better than normal method. The mobility, softness and shape of slurry ice ensures no damages on the surface of the cooling products. It can be pumped anywhere and anytime by using a common pipe, saving labor costs and time. Comparing to other solid ice, it offers better energy efficiency with lower Freon consumption and lower energy expenditure, thus reducing the operation cost. 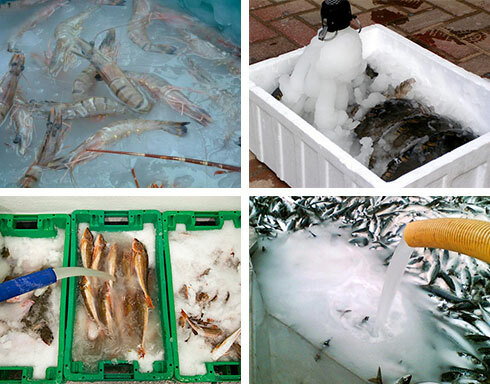 Application area: Seafood, aquatic product preservation, fishing, supermarket ice, food processing industry. Use stainless steel 316in all contact areas which meets all food processing standards. 360 degree compact package of cooling bodies without dead ends, instant cooling evenly. Ice water mixture without sharp edges and corners, will not scratch precious seafood. 20%-60% concentrations of ice can be optionally chosen. Salt water or ice water can be used directly. Apply to any working condition. FOCUSUN slurry ice machine, daily capacity from 3-80 tons to choose from and provide customized services. Applies to all refrigerants currently available：R22/R404A/R517 and so on. Standard condition: dry bulb temperature is 33 ℃ and the inlet temperature is 25 ℃. Application: maximum ambient temperature is 45 ℃. Water temperature: 0-40℃. *The data in the above table shall be subject to change without notice. 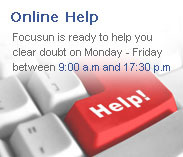 As a world-class ice maker, FOCUSUN offers advanced ice making technology. In order to meet the demands of different customers, FOCUSUN can provide 3 to 80 tons of slurry ice machines, our professional technicians will select the most suitable slurry ice system for you.